I have made these more times than I can count! They're absolutely delicious and pretty foolproof to make. I will say these are on the spicier side so if you don't care for spicy foods use the normal taco seasoning vs. the hot and spicy kind! Click HERE for the recipe. This dish is insanely delicious! Everyone I've made it for has loved it. 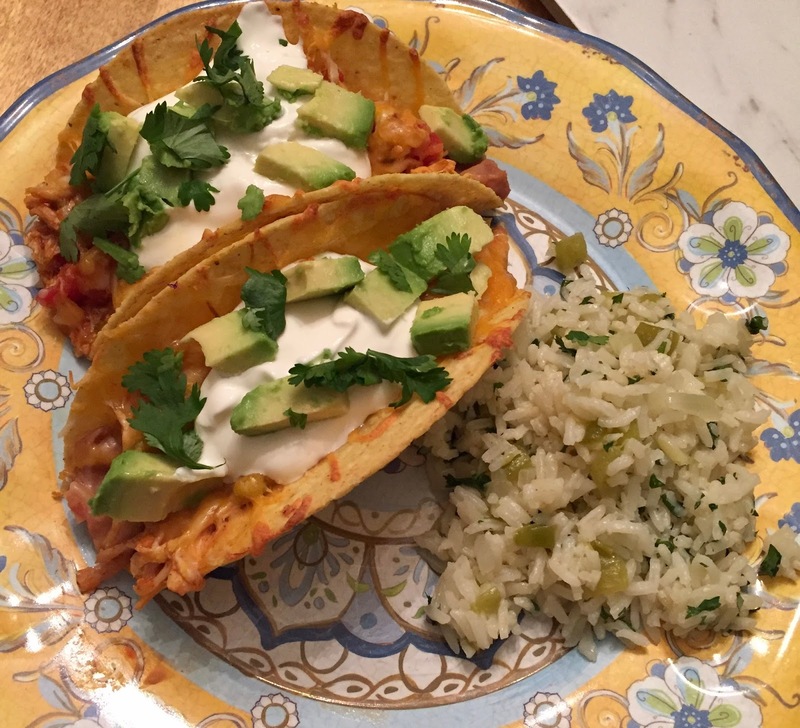 This is great for a "fancier" at home meal as it is a little time consuming- but so worth it! 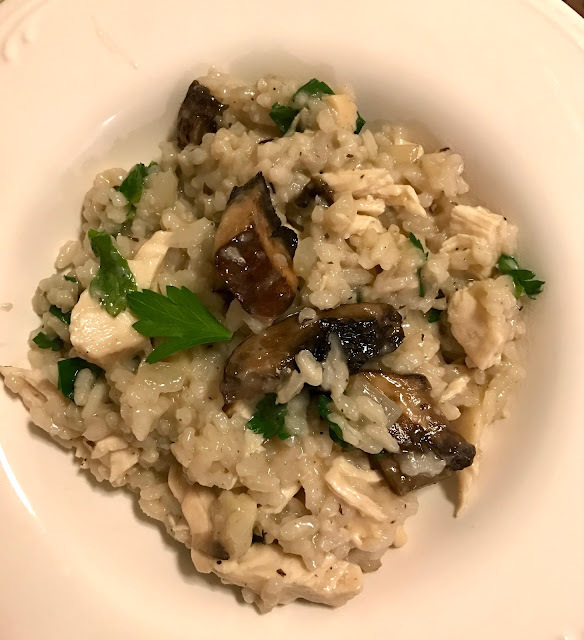 I start with base Mushroom Rissoto recipe and then add about a cup of cooked diced chicken! Click HERE for the risotto recipe. Kyle loved this recipe so its man approved! It was a nice change from the typical tacos! I will say it is a very rich recipe & I could only eat one taco. Click HERE for the recipe. 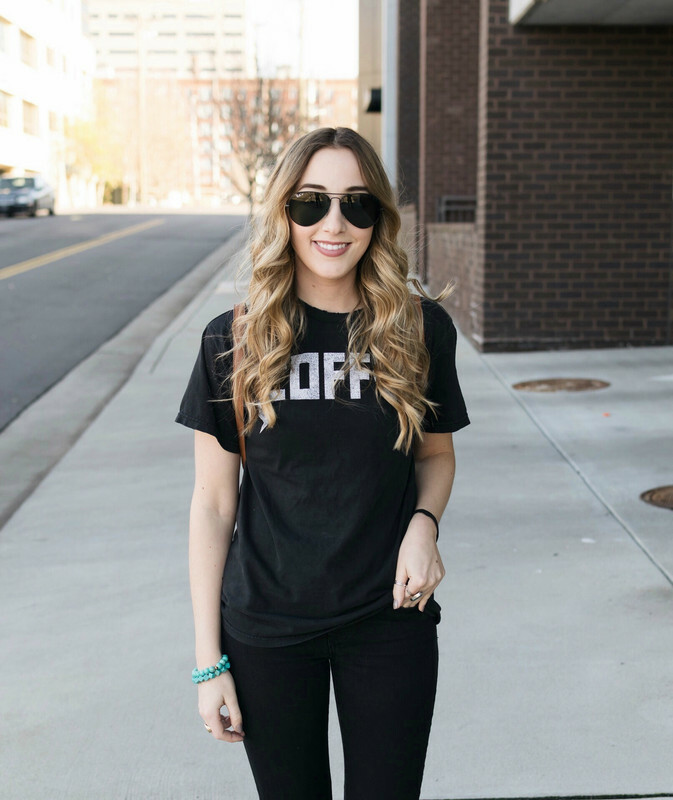 These are one of my favorites! I love the blend of the creamy cheese & sour cream with the salsa! I serve these generally with my favorite cauliflower tots as a replacement for fries. Click HERE for the recipe. Pretty self-explanatory but I love chicken caesar salad. 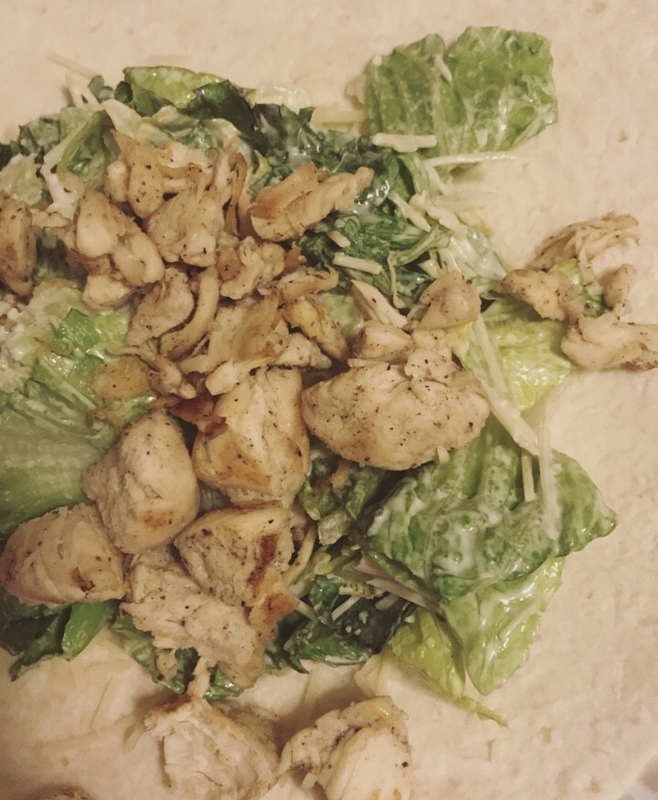 I'll either make up a large salad with fresh romaine hearts, parmesan, chicken, and caesar dressing or I'll make up the salad and put it into a wrap for a more filling meal. Either way, it's delicious and so easy! No recipe needed for this! I like to slice up some chicken, heat it, and serve it up with gravy, mashed potatoes and a veggie like green beans. Super easy and so delicious. For this, you can cook up some white rice and then in a frying pan add a package of frozen veggies, 1 egg and then toss in some chicken & your rice and season with soy sauce, it's that easy! I usually use low sodium soy sauce as the normal is too salty for me. This pizza is one of my favorites! 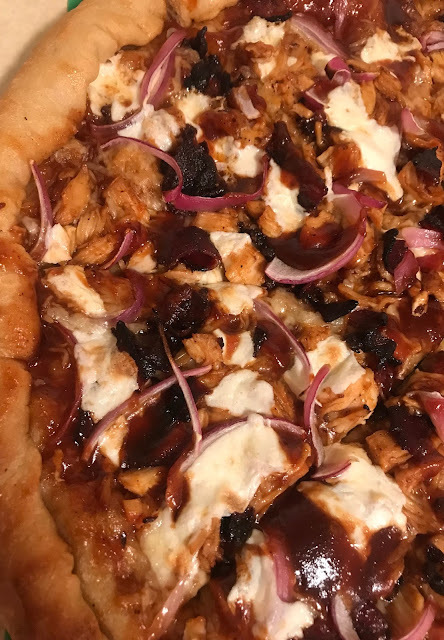 I start by rolling out my pizza dough and then add BBQ sauce, fresh mozzarella, diced chicken, and sauteed red onions. Cobb salads are a great use of chicken! I love this salad because it's so filling! 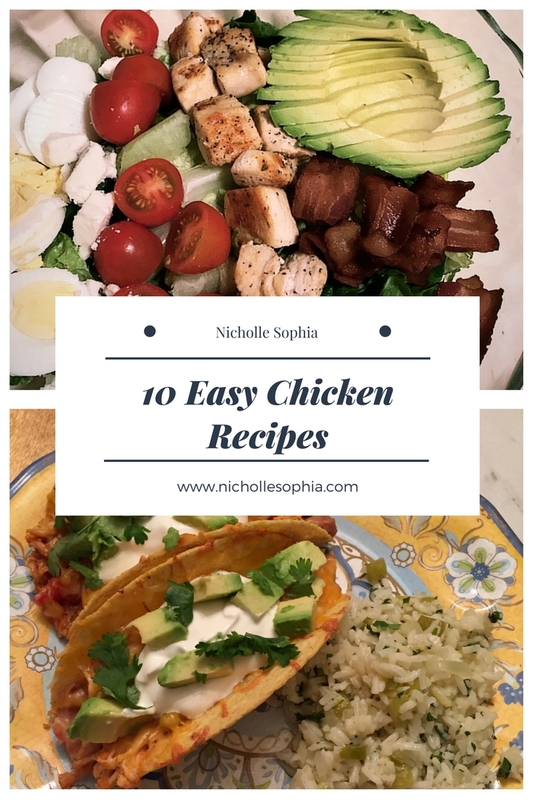 You can pretty much add any ingredients you'd like but I love to add chicken, bacon, avocado, tomato, egg, and blue cheese crumbles. Yum! What are your favorite uses for chicken?